Santa Rosa, CA – (May 13, 2015) – Summit State Bank (NASDAQ: SSBI) has appointed Joel Louraine as Vice President and Commercial Loan Officer. Joel brings over 30 years of lending and community banking experience in the North Bay, most recently as Vice President and Commercial Loan Officer for Bank of Marin. "We are pleased to welcome Joel to our commercial lending team. His extensive knowledge in community and commercial banking will play a key role as we continue our focus on lending to small businesses with our $100,000,000 Small Business Lending Program,” said Tom Duryea, president and CEO of Summit State Bank. Joel is a member and past President of the Rotary Club of Novato. Louraine holds a BS in Finance from Western New England College in Springfield, Massachusetts. In his spare time, Joel enjoys spending time with his wife, Maureen and rescue dog, Lucy. 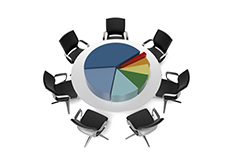 Summit State Bank, a community bank, has total assets of $474 million and total equity of $70 million at March 31, 2015. 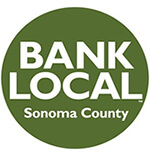 Headquartered in Sonoma County, the Bank specializes in providing exceptional services and solutions to aid in the success of local businesses and nonprofits throughout Sonoma, Napa, San Francisco, and Marin Counties. Summit State Bank was again named to the Top 75 Corporate Philanthropists list by the San Francisco Business Times and received the Top Corporate Philanthropy Award by North Bay Business Journal. Summit has also been consistently recognized as a high performing bank by Findley Reports, received the 2013 Rising Star Award from the California Independent Bankers, the 2012 Community Bank Award from the American Bankers Association for its nonprofit work, and has been recognized as one of the North Bay’s Best Places to Work by the North Bay Business Journal. Summit State Bank’s stock is traded on the Nasdaq Global Market under the symbol SSBI. Further information can be found at www.summitstatebank.com.